Oakville, Ont. 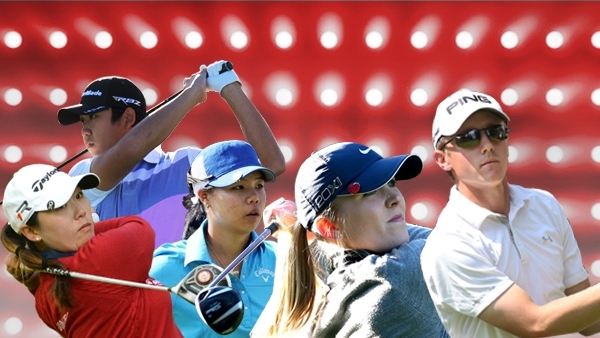 – Golf Canada has announced the names of the athletes who have been selected to the new Team Canada Young Pro program. In all, five athletes – three female and two male – have been chosen to the inaugural Team Canada Young Pro Squad. Developed in partnership with the PGA of Canada and supported in large part by the Golf Canada Foundation, the Young Pro program was created to bridge the gap between amateur and professional performance on the international golfing stage. A trio of LPGA players including Rebecca Lee-Bentham of Toronto, Jennifer Kirby of Paris, Ont., and Sue Kim of Langley, B.C., will join the new Young Pro squad. All three players are graduates of Golf Canada’s National Amateur Squad and have secured full playing status for the LPGA Tour’s 2014 season. Bentham, 22, was the top-earning Canadian on the LPGA Tour last season after finishing a personal best T-11 at the Evian Championship. Kim, 23, secured her full card by finishing in sixth on the LPGA’s Symetra Tour’s Volvik Race to the Card. Kirby, 23, earned her spot after a fifth place finish at the LPGA’s Final Qualifying in December. On the men’s side, Web.com Tour players Mackenzie Hughes of Dundas, Ont., and Toronto’s Albin Choi debut as the first two male members of the Team Canada Young Pro program. A two-time Canada Amateur champion, Hughes, 23, finished the 2013 season atop PGA Tour Canada’s Order of Merit after capturing the Cape Breton Celtic Classic. 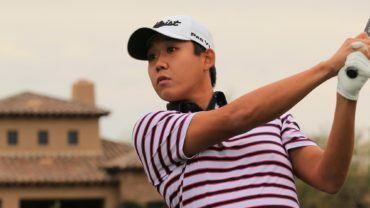 Choi, 22, is also a former Canadian Amateur champion who earned his ticket to the Web.com Tour after a 15th place finish at final qualifying in December. Each member of the Young Pro squad will receive funding as well as access to Team Canada’s coaching staff and sport science experts. Men’s National Squad coach Derek Ingram and Women’s National Team coach Tristan Mullally will provide coaching to their respective Young Pro players. In addition, the athletes will have access to Team Canada’s sport science staff that includes psychologist, Dr. Adrienne Leslie-Toogood, strength and conditioning coach, Jason Glass, nutritionist, Nicole Springle and physiotherapist Greg Redman. The Team Canada Young Pro initiative has been in the works for more than a year as an extension of Golf Canada’s National Amateur Team program. The 2014 launch is a direct result of the fundraising support of the Golf Canada Foundation. The 2013 LPGA season was a breakout year for Rebecca Lee-Bentham, who currently sits as the highest ranked Canadian at No. 212 in the women’s Rolex Rankings. Last year, Bentham soared up the rankings after earning medalist honours at LPGA qualifying school and posting a T11 major finish at the LPGA’s Evian Championship. This year, the 22-year-old Toronto native has a season best finish T28 at the ISPS Handa Women’s Australian Open and sits at No. 91 in the LPGA’s Race to the CME Globe. As an amateur, Bentham was the 2011 Canadian Women’s Amateur Champion and the 2010 Canadian Junior Girls Champion. She was also a member of Team Canada’s National squad in 2011 and spent four seasons on the Women’s Development team. Jennifer Kirby vaulted into the spotlight after winning the 2013 Canadian Women’s Tour Québec stop in her professional debut. The 23-year-old followed up her victory with a T3 finish at the season-ending Tour stop in Ontario, which earned her a second place finish on the Canadian Women’s Tour Order of Merit. In her first season as a professional, Kirby earned an exemption into the LPGA’s 2013 Manulife Classic where she finished T41 and also played in the 2013 CN Canadian Women’s Open. She earned her ticket to the LPGA Tour by finishing fifth at qualifying school in December of 2013. In seven starts this season Kirby’s best finish is a T36 at the JTBC Founders Cup. Prior to turning professional, the Paris, Ont., native was a member of the 2012 Alabama Crimson Tide Division I National Championship squad. On the national stage, Kirby captured both the 2009 Canadian Women’s Amateur and Canadian Junior Girls titles. She was also a longtime member of Team Canada program, playing for the National Squad in 2012 and 2010 and the Development Team from 2007-2009. A member of the LPGA’s Symetra Tour in 2013, Sue Kim earned her fully-exempt ticket to the LPGA for the 2014 season after a sixth place finish in Volvik’s Race for Card – Symetra’s Order of Merit. As a professional, the Langley, B.C. native captured the Decatur-Forsyth Classic, alongside two top-3 finishes on the Symetra Tour in 2013. In the 23-year-old’s six LPGA starts last season, her best finish was a T34 at the Mobile Bay LPGA Classic. In 2014, Kim’s best finish is a T45 at the ISPS Handa Women’s Australian Open. Mackenzie Hughes soared into the spotlight after capturing his first professional victory at PGA Tour Canada’s 2013 Cape Breton Classic. Alongside his win, Hughes recorded three other top-10’s that included a T2 finish at The Wildfire Invitational and a T3 at The Players Cup. His strong play secured his playing card for the 2014 Web.com Tour season after finishing in the top spot on PGA Tour Canada’s Order or Merit after starting the season on sponsor’s exemptions. 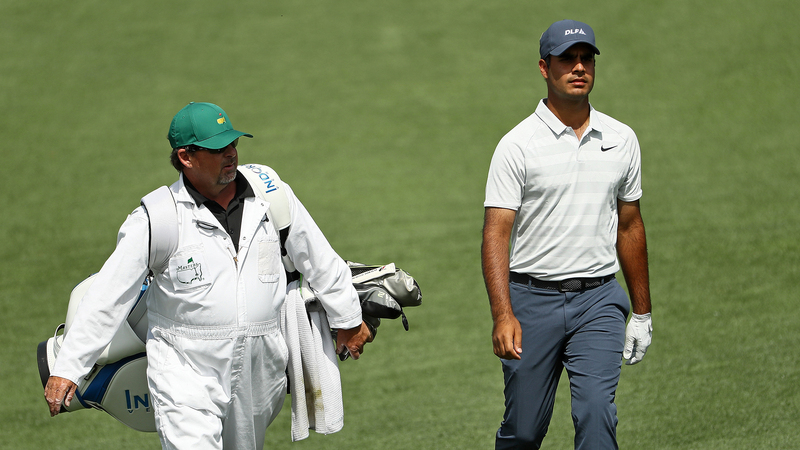 Last year, the 23-year-old also qualified for the U.S. Open at Merion and the RBC Canadian Open at Glen Abbey Golf Club. In five starts this season on the Web.com Tour Hughes sits at No. 154 on the money list. Prior to turning professional, the Dundas, Ont., native had a decorated amateur career that included back-to-back Canadian Amateur titles in 2011 and 2012. Hughes was also a member of Team Canada’s National Squad (2012, 2011) and a Development Squad Member in 2008. As a member of the Kent State Golden Flashes, Hughes picked up three NCAA collegiate victories and was the MAC Freshman of the year in 2009. Albin Choi notched three top-25 finishes in his rookie season on PGA Tour Canada. The Toronto native finished a season-best T13 at the Cape Breton Classic and secured his full playing card for 2014 after a T17 finish at the season-ending TOUR Championship of Canada presented by Freedom 55 Financial. 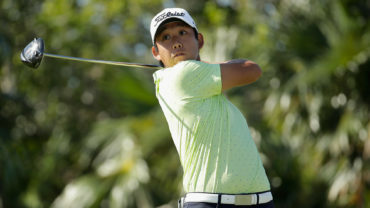 As a rookie, Choi began his season playing on sponsor’s exemptions and made five of eight cuts to retain his playing card for 2014 after finishing 52nd on the Order of Merit. 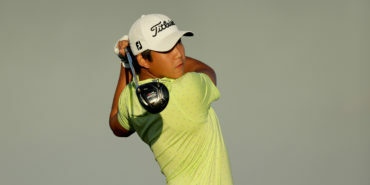 Choi earned his ticket to the Web.com Tour after finishing T15 at qualifying school in December. Already this season he’s posted three top-30 finishes as a rookie and currently sits at No. 88 on the money list. Choi had a highlight filled amateur career that included capturing the 2010 Canadian Men’s Amateur and finishing as the low amateur at the 2012 RBC Canadian Open. The 22-year old was also a member of the victorious Team Canada squad at the 2013 Copas de las Americas championship and was a member of Team Canada’s National Squad in 2012 and 2011. Prior to turning professional, Choi amassed nine NCAA victories during his three years at North Carolina State University. You can find out more about the Golf Canada Foundation and support these young athletes by donating here.